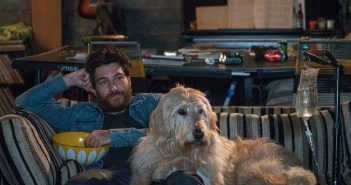 Marley’s back, this time with an invitation to the lawn screening of The Puppy Years premiere! If you live in or near Los Angeles, consider joining Marley and friends for the ultimate puppy championship and the live outdoor screening on Saturday, August 13th! 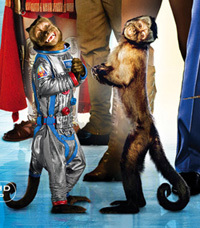 Crystal, the Capuchin monkey who played Dexter in Night at the Museum (2006) is back in the sequel, Night at the Museum Battle of the Smithsonian(2009). The kids and I watched the movie last week and I’m again fielding questions about why we simply cannot have a pet monkey. We received several comments for our Santa Buddies Giveaway and spent the entire morning this morning reading through the entries, trying to choose the three winners. Turns out it was a lot harder to choose than we thought it would be! I sincerely enjoyed reading all of your comments and ended up eliciting the help of the entire family to narrow down the top picks.